A thought-leader, researcher & storyteller with the rare ability to both inspire audiences & leave them with actionable change strategies. From developing talent and connecting with consumers, to building brands and fostering innovative cultures, inspiration is critical. Inspirational leadership is not about job titles and roles – it’s a style of leadership available to anyone who is willing to practice courage in the midst of fear, to choose authenticity over self-protection, and to foster calm in times of high reactivity. In our culture, vulnerability has become synonymous with weakness. 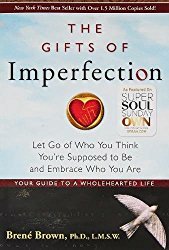 We associate vulnerability with emotions like fear, shame, and scarcity; emotions that we don’t want to discuss, even when they profoundly affect the way we live, work, and even lead. 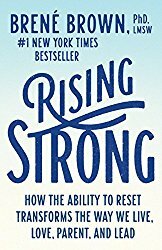 To reduce our feelings of vulnerability, we wake up every morning, put on our game face, and rarely take it off – especially at the office. We use invulnerability as a shield to protect us from uncomfortable emotions and struggles with anxiety and self-doubt. But invulnerability has a price. Vulnerability is indeed at the core of difficult emotions, but it is also the birthplace of: Creativity and innovation, authenticity, adaptability to change and accountability – the key elements that every business needs to survive and thrive. Setting, tracking, and celebrating goals are primary tasks in business; however, very few managers and leaders understand the emotional, cognitive, and behavioral anatomy of the goal process. Understanding the loaded dynamics of expectations, disappointments, and accomplishments gives us more tools for cultivating success with our own goals and becoming more effective mentors for our employees. For organizations to successfully navigate change, it is imperative that employees at all levels bring their best selves to work. But too often leaders and managers don’t know how to navigate the emotional landscape of change – especially the human response to stress, anxiety, and fear. Unknowingly, leadership often incites the exact behaviors that sabotage the creativity, trust, and accountability that are essential to managing change. A deep sense of love and belonging is an irreducible need of all men, women, and children. We are biologically, cognitively, physically, and spiritually wired to love, to be loved, and to belong. When those needs are not met, we don’t function as we were meant to. We break. We fall apart. We numb. We ache. We hurt others. We get sick. We confuse purpose and meaning with acquisitions and accomplishments. We lose sight of what is important. What if I can't keep all of these balls in the air? Why isn't everyone else working harder and living up to my expectations? What will people think if I fail or give up? When can I stop proving myself? This workshop will explore the concepts of self-compassion, rest and play, and belonging, and how these experiences relate to resilience and hope. 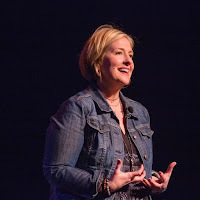 Dr. Brené Brown is a research professor at the University of Houston where she holds the Huffington Foundation-Brené Brown Endowed Chair at The Graduate College of Social Work. 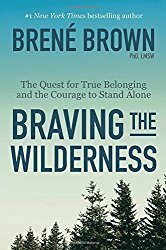 She has spent the past sixteen years studying courage, vulnerability, shame, and empathy and is the author of four #1 New York Times bestsellers – The Gifts of Imperfection, Daring Greatly, Rising Strong and Braving the Wilderness: The Quest for True Belonging and the Courage to Stand Alone. 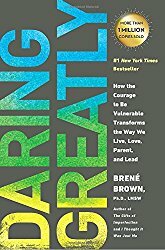 Brené’s TED talk – The Power of Vulnerability – is one of the top five most viewed TED talks in the world with over 30 million views. In addition to her research and writing, Brené is the Founder of BRAVE LEADERS INC – an organization that brings evidence-based courage building programs to teams, leaders, entrepreneurs, change makers, and culture shifters. Brené lives in Houston, Texas, with her husband, Steve, and their children, Ellen and Charlie.